Episode 1 - Box 1 "Student Council In the House!" Episode 2 - Box 2 " Are you the culprit? / But of course, it's me! Episode 3 - Box 3 None of your business!! 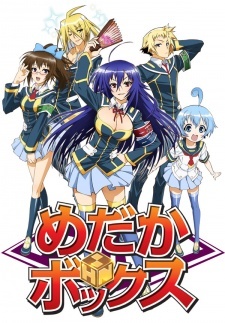 \ As you wish, Medaka-san!! A terrible attempt at parodying the Shonen genre. Filled to the brim with generic characters and terrible choices. Warning: There are spoilers here, and I get very, very angry.